2 Bedroom Flat For Sale in Lincoln for Asking Price £115,000. Attention first time buyers! No stamp duty to pay and free mortgage appointments available daily. Call today! 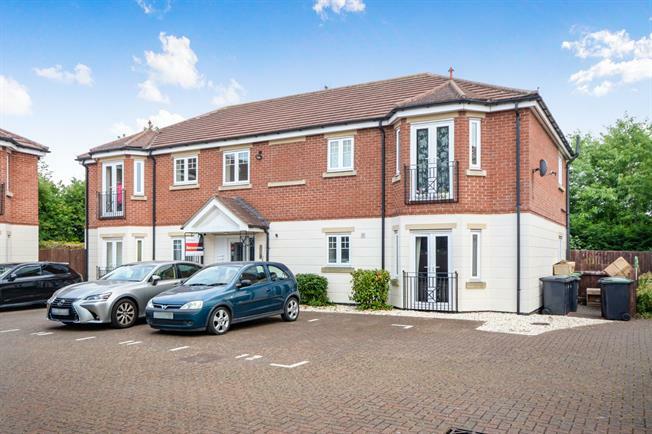 This two bedroom ground floor flat is located in the popular village of Bracebridge Heath, within easy reach of a wealth of amenities including shops, pubs, a doctors surgery, a post office, several take aways and good schools. The village also benefits from great public transport and road links to Lincoln, Sleaford and Grantham. The property briefly comprises a secure entrance to the building leading to the apartment's front door, inside there is a hallway leading to a bay fronted living room with open plan kitchen with breakfast bar, two double bedrooms and a bathroom. There is a small private garden to the rear of the property. One parking space is allocated to the property with additional visitor spaces available. The property is fully double glazed and has an electric heating system. For all enquiries or to arrange a viewing please contact Bairstow Eves.